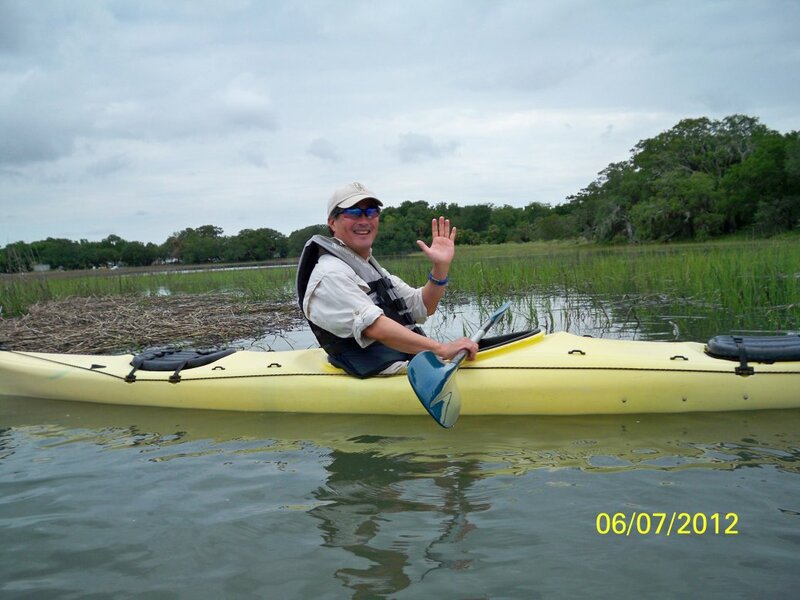 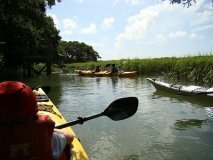 Kayak Tours - Jarvis Creek Water Sports, Hilton Head, SC. 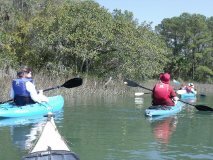 Are you looking for a guided small group (usually between 3 and 10 people) kayak tours of the low-country’s Eco-system while on Hilton Head? 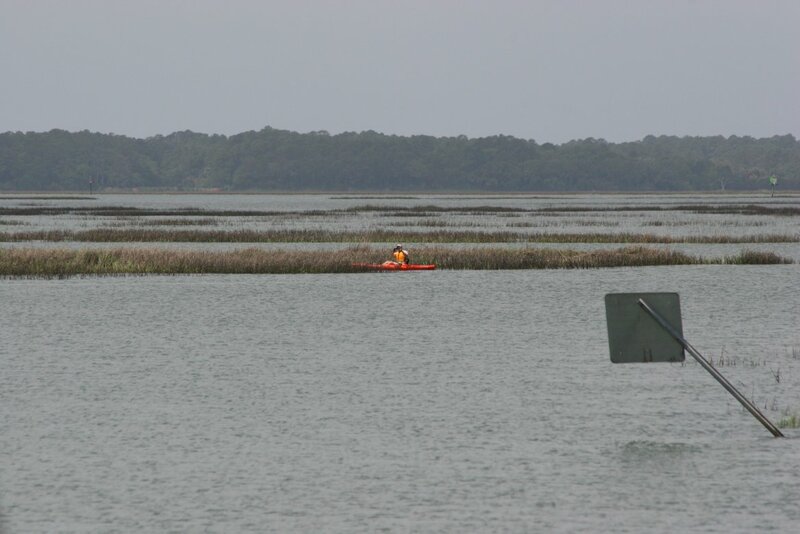 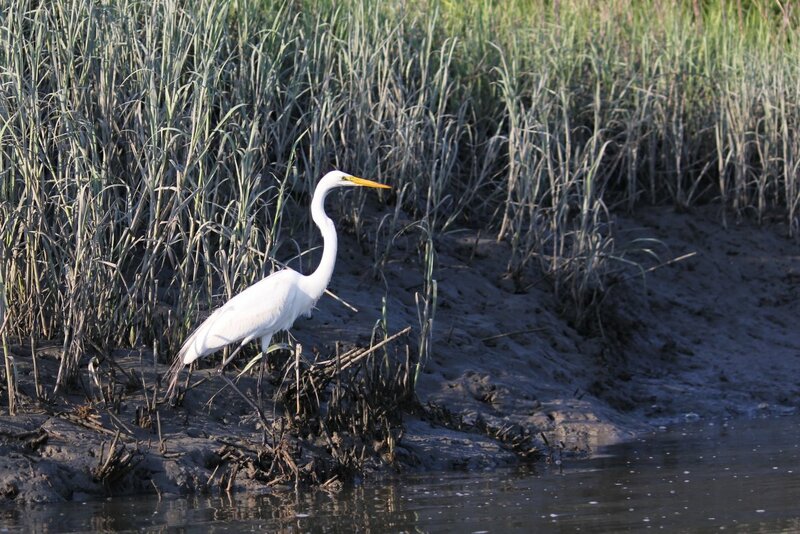 We offer kayak tours right off our docks into one of the low-country’s wonders. 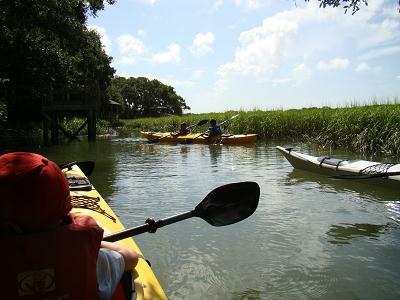 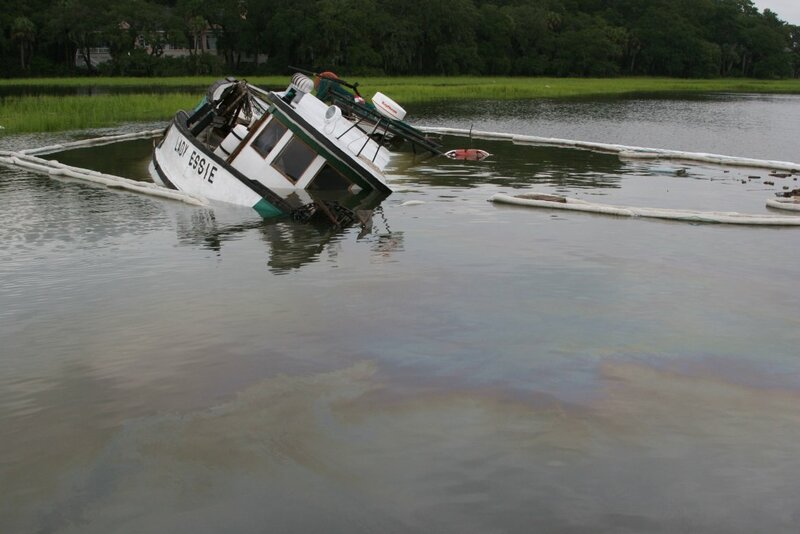 Jarvis Creek is a small creek on Hilton Head which is connected to the Inter-coastal Water Way and dead ends up by Honey Horn Plantation (Coastal Discovery Museum). 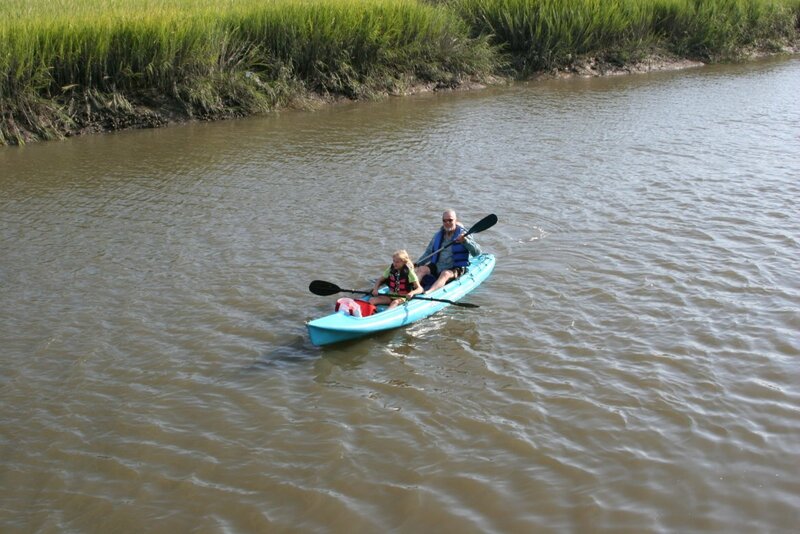 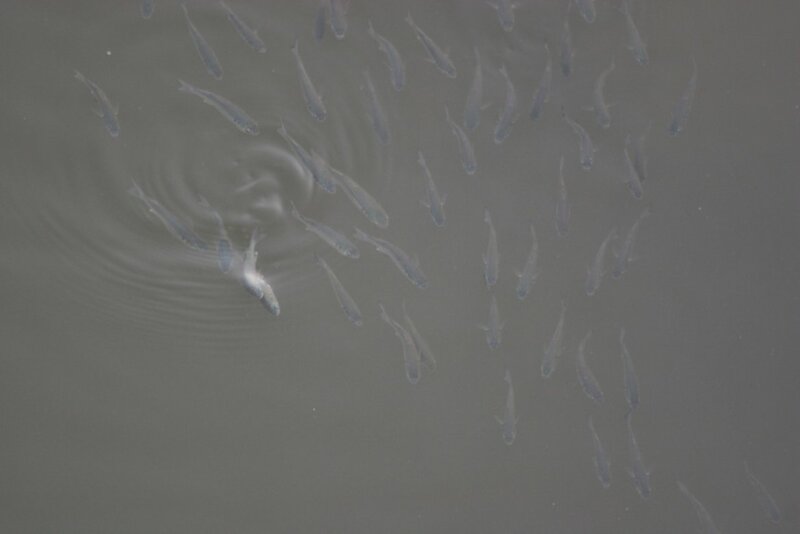 Jarvis Creek is diverse in wildlife and has little boat traffic to contend with making it a great creek for beginners, kayaker’s with children or naturalist who are looking for the feeling of getting away into nature when you are still on the island. 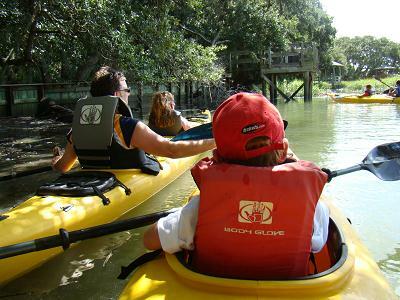 We have a wide selection of crafts (boats line up in photos on top or rentals page) to select from to help you feel more comfortable along your journey exploring this amazing creek. 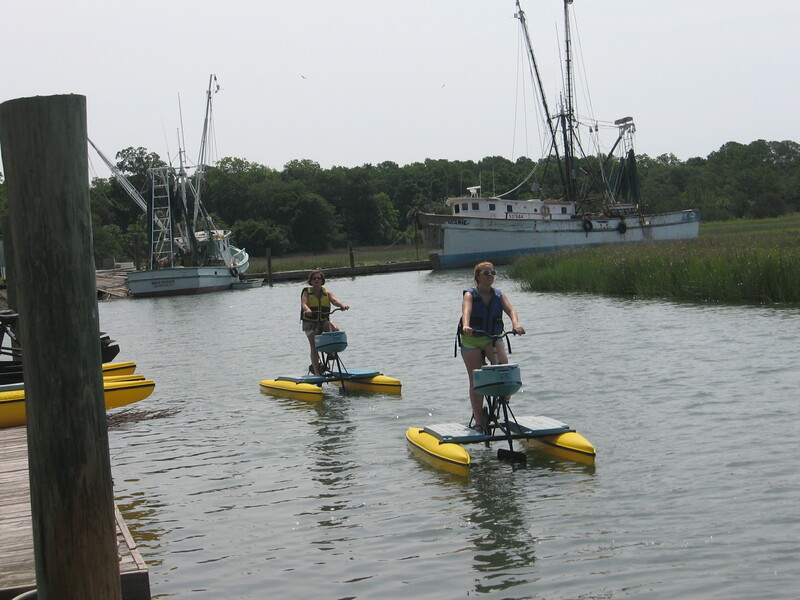 If you build a little appetite while out on the kayak tours, you can always come back and eat at one of the two Crazy Crab’s on Hillton Head right next to us. Kayak tours sizes at Jarvis Creek Water Sports on Hilton Head are 10 or less to a guide (10:1) on average, we would rather keep it small and personal instead of feeling like you are paddling with a heard and missing the calming experience. 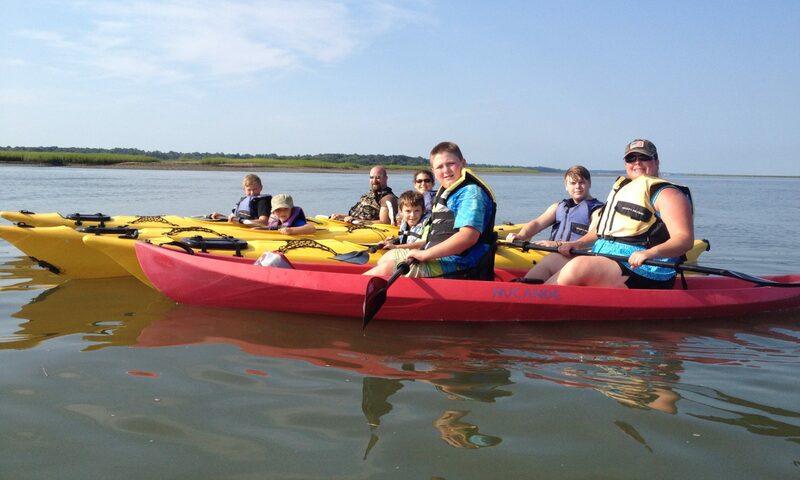 Special arrangements can be made though for those large families / friends of over 10 people who would like to go out together if called and scheduled in advance to make arrangements with a second guide to join us.